I don’t think there is any way around this. The revelation of God’s Word is just that — Words. God uses the sword of the Spirit (Ephesian 6:17) which is sharper than a two-edged sword that is living, active, and designed to convict us (Hebrews 2:12). We are transformed by the renewal of our minds when we compare our lives to the will of God revealed in His Word (Romans 12:2). Not only are Christians readers of the Word of God, but we are readers of great expositors of godly wisdom gleaned from years of walking with God. As a born-again Christian, I have so greatly benefited from reading books about the gospel, books about relationships and marriages, and many other books about the various aspects of the Christian life. Some of those books have been good enough to read twice and some of them fall by the wayside and collect dust on my shelves. You know that feeling when you pick up a book that is just so clear, original, and cuts to the heart to describe your experiences as if the author knows you personally? Those books are far and few between, but they are long-lasting. The same is true of Christian literature. Each generation might have only a handful of these types of books. But when these books survive for a few generations we would be wise to pick them up. They become classics for a reason. Below I’ve chosen a few books that have stood the test of time to survive the past few centuries: timeless classics. Don’t take my word for it, find your own classics to read. You’ll find yourself encouraged to know that Christians in a different era believe the same things as you. They also struggle with the same sins. They also are formed by the same Word of God that you read. This book is full of godly wisdom and a beautiful portrait of everything Christ has done for the believer. I should know, I’ve read it twice. The book is a collection of seven sermons given by Spurgeon. If you can’t think of seven things that Christ has done for you, I urge you to buy this book immediately and start worshipping Christ for His glorious, unmatchable achievements. It’s hard to imagine a faithful man who influenced the church through his writings more so than John Calvin. You may have heard of “Calvinism” or perhaps even are aware of his seminal work, The Institutes of Christian Religion, which runs well over 1000 pages. If you want to ease into Calvin, a perfect way to start is this pocket-sized short volume. He begins with describing the goal of God’s work in our lives, “to bring our lives into harmony and agreement with His own righteousness, and so to manifest to ourselves and others our identity as His adopted children.” If you want to know how to do that, click below. "No passage gives a clearer explanation of Christ’s atoning work for sinners than Isaiah 53. It’s truly the first gospel (written 700 years before Christ came to earth) and, because of its rich detail, the most astonishing prophecy in the Old Testament. 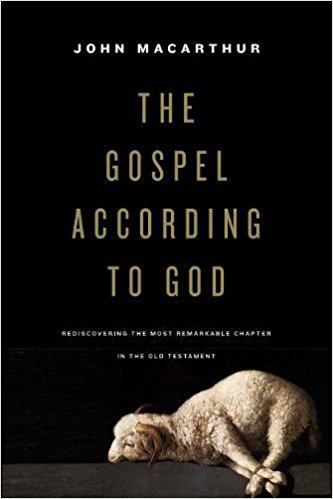 Deepen your thankfulness for Christ’s saving work—discover the richness of Isaiah 53 in John MacArthur’s landmark study The Gospel According to God." 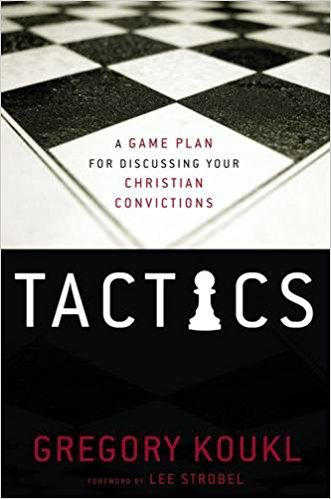 "In Tactics, Gregory Koukl demonstrates how to artfully regain control of conversations, keeping them moving forward in constructive ways through thoughtful diplomacy. You'll learn how to maneuver comfortably and graciously through the minefields of a challenging discussion, how to stop challengers in their tracks, and how to turn the tables on question or provocative statement." 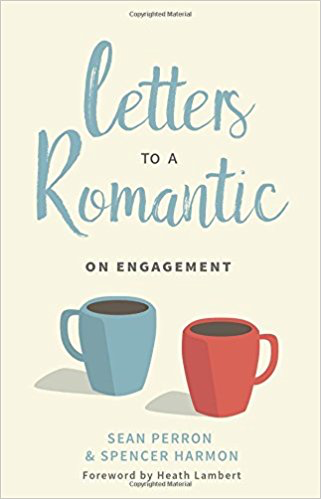 "Turning to God's Word for answers, Sean and Spencer have written you short letters full of biblical, practical wisdom. Direct and to the point, they cover topics ranging from the details of wedding planning to the big picture of your future lifelong relationship. Find clarity amid engagement and come to your marriage prepared!" that men and women might be transformed into His image.